Agile development is an umbrella term for a number of iterative and incremental software development methodologies such as Scrum, Extreme Programming (XP), Lean and Kanban. With agile, all aspects of software development – planning, designing, coding, integrating and testing – are combined in short, frequent iterations. Agile software development is not a silver bullet, but it has forced many to rethink traditional approaches to software development and apply new ideas and techniques in an effort to build better software faster. As with any significant industry shift, a tremendous amount of fear, uncertainty and doubt generally accompany the transition. Myth 1: Agile development is undisciplined, cowboy coding. Fact: Continuous delivery of running, tested software every few weeks could be characterized as the ultimate software industry discipline. Myth 2: Agile development isn’t predictable. Fact: Agile teams are constantly planning, prioritizing and delivering against the plan and have a much better sense of where the project actually is and what can be accomplished. Myth 3: Agile development is just another fad. Fact: Many industry leaders have embraced and promoted agile. Agile adoption has moved from small co-located teams to large divisions and software organizations of enterprise IT. 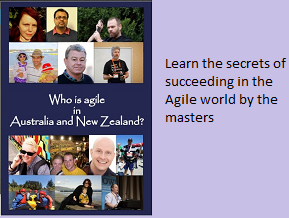 Learn about more myths of agile development. Agile as a fad is definitely a myth that needs busting - always good to see someone stressing that point!